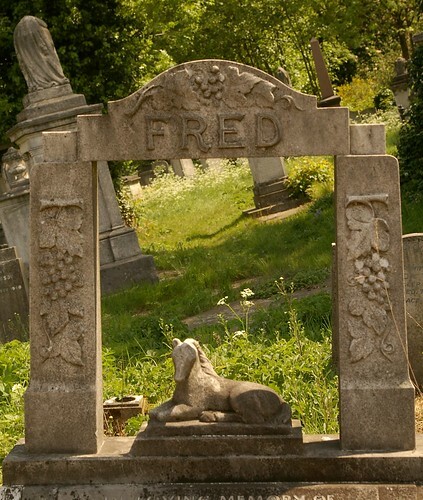 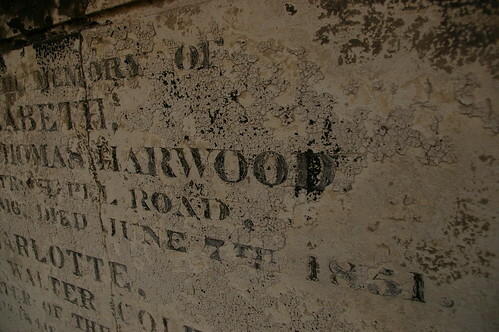 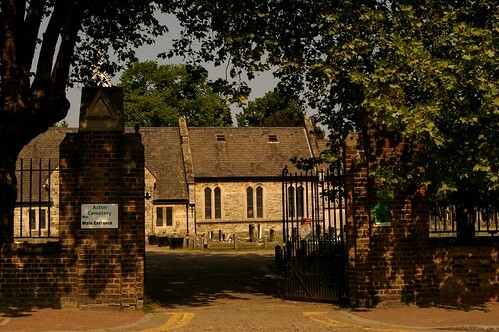 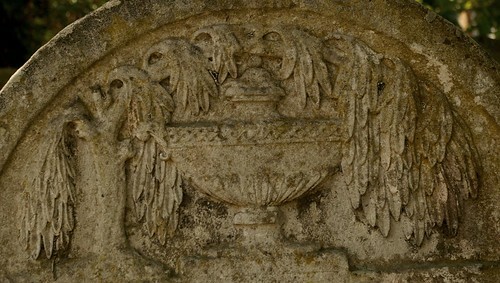 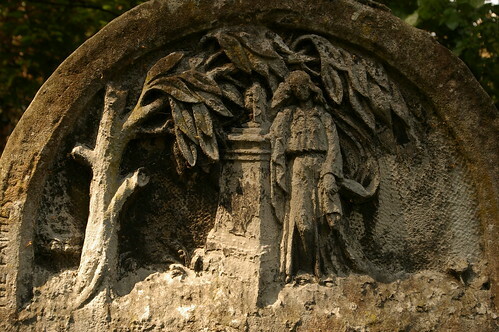 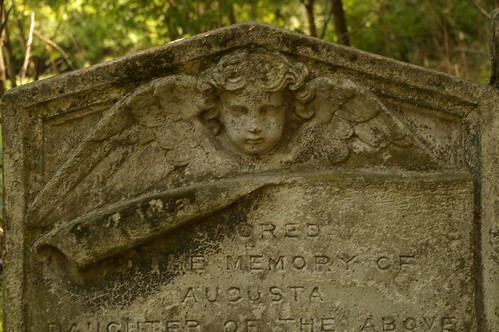 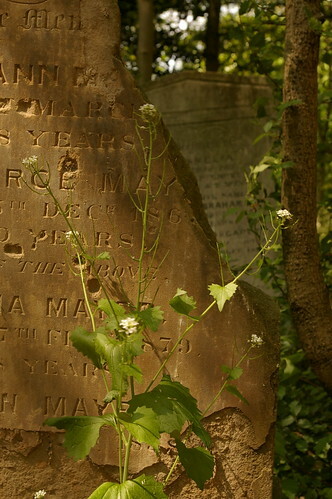 Nunhead's often cited as the "least known" of the Magnificent Seven, and while this might be true, darling Nunhead is one of my favourite cemeteries in London. 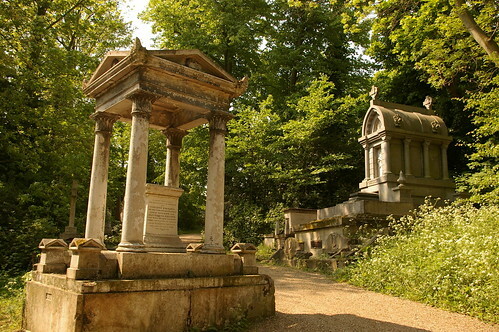 Though it doesn't have the most spectacular monuments (you want Norwood, Brompton or Kensal Green for those), it does have an absolutely irresistable atmosphere. 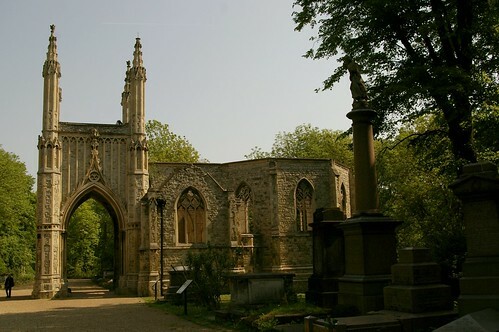 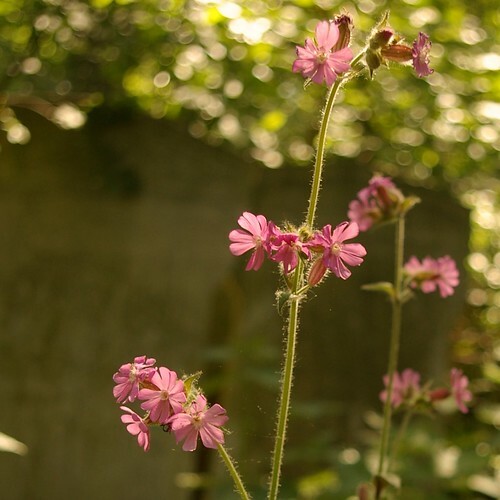 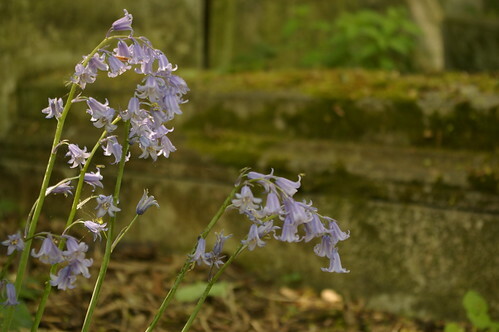 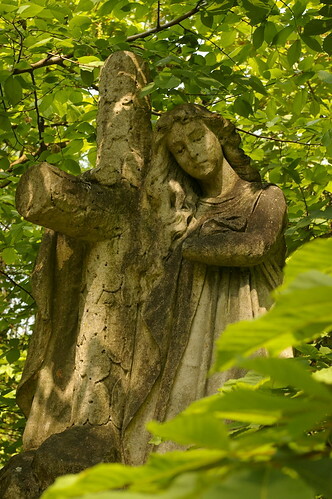 It's being managed as a nature reserve, which means that much of it is fairly overgrown, but the Friends of Nunhead Cemetery are doing an absolutely amazing job of keeping it good as a cemetery too. 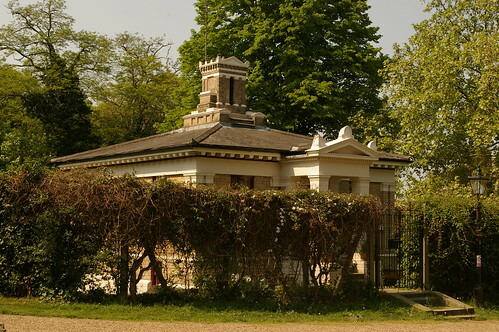 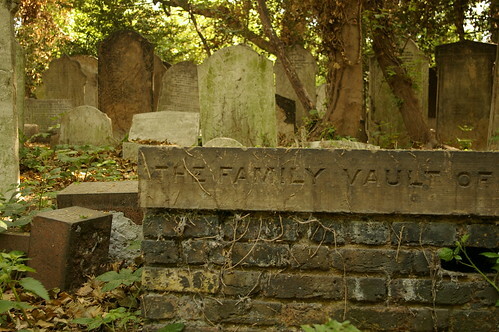 Don't expect too many spectacular monuments - the inhabitants of Nunhead are mostly like to prove their solid respectability with square columns and box tombs - but there is nowhere in London with an atmosphere quite like this. 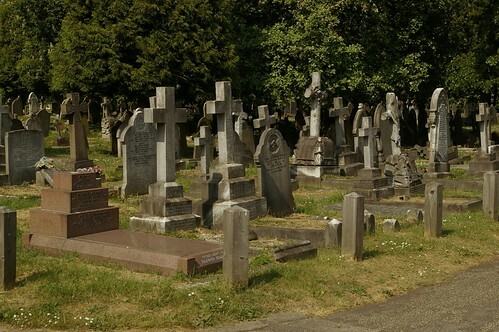 Nunhead's fortunes over the years have been mixed. 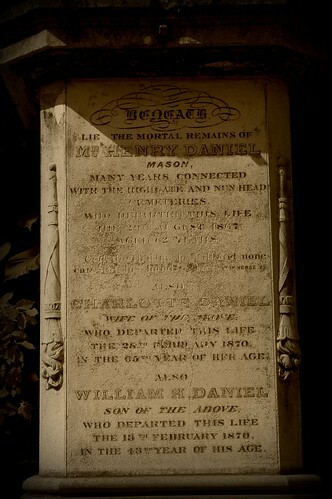 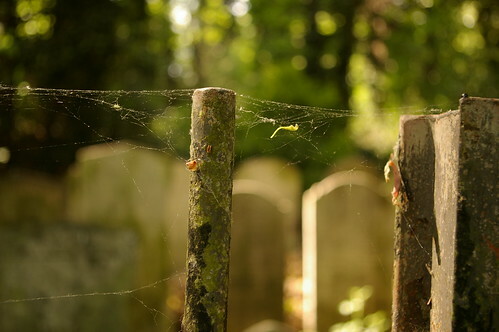 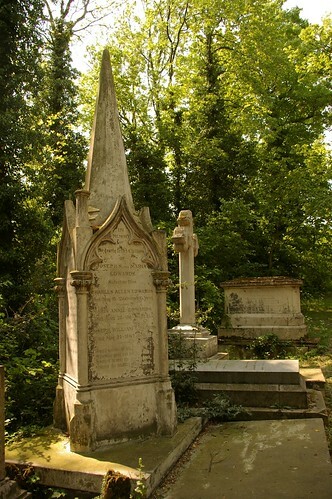 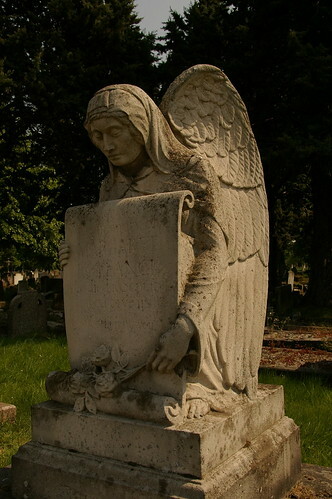 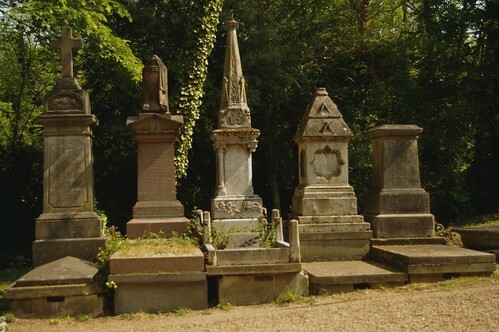 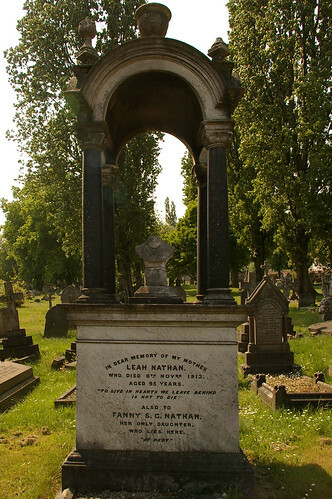 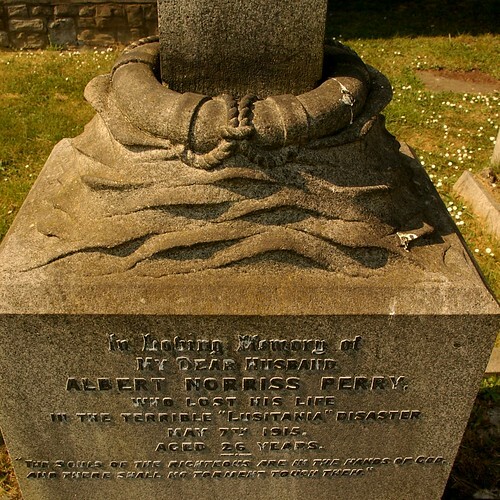 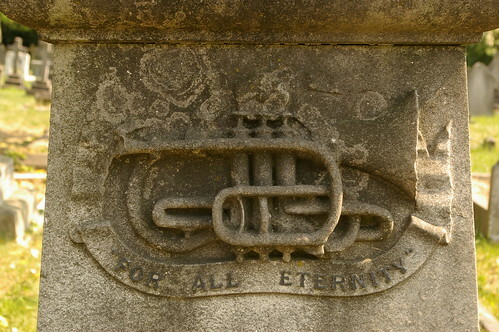 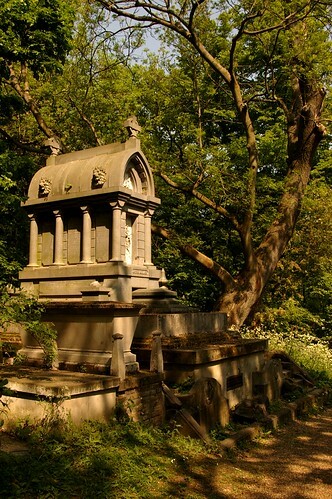 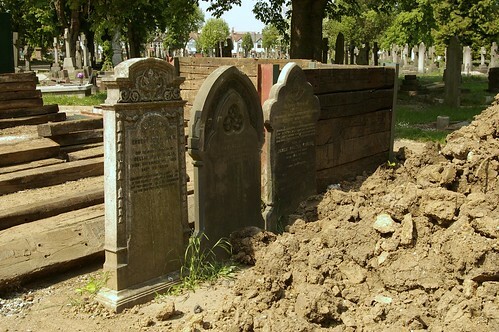 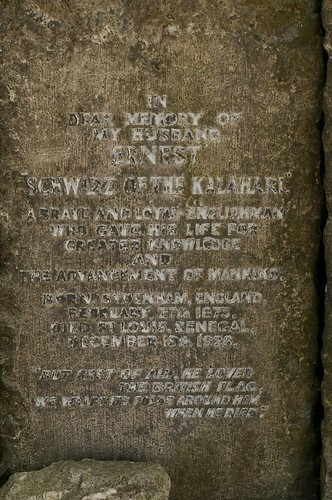 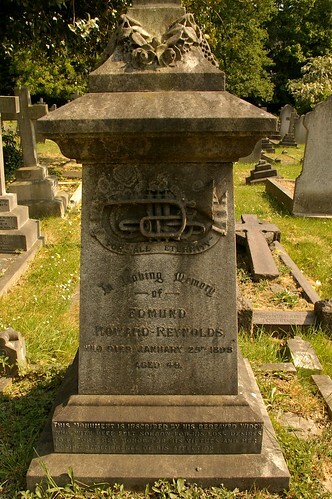 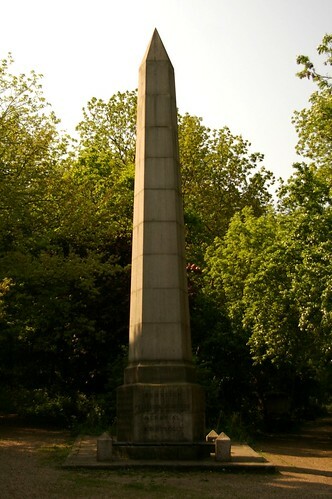 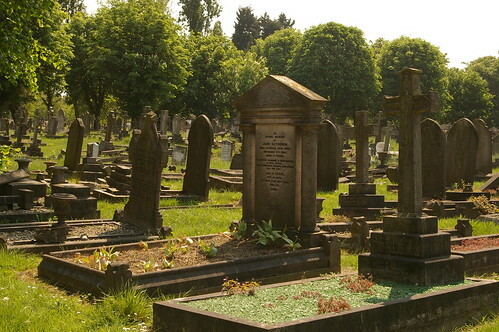 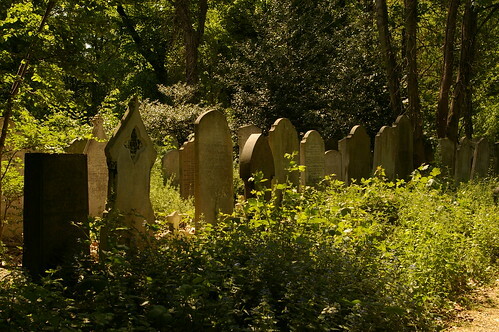 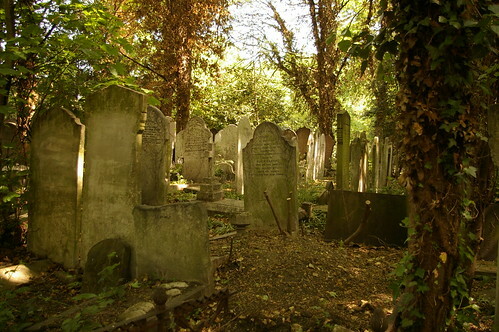 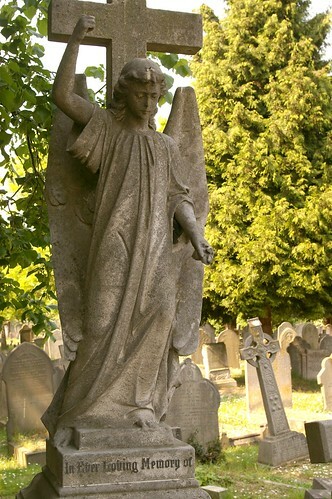 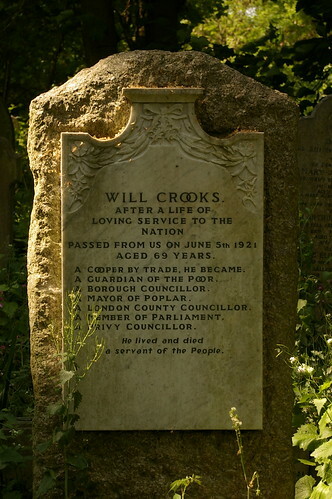 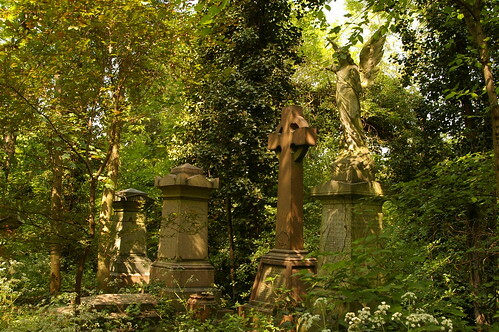 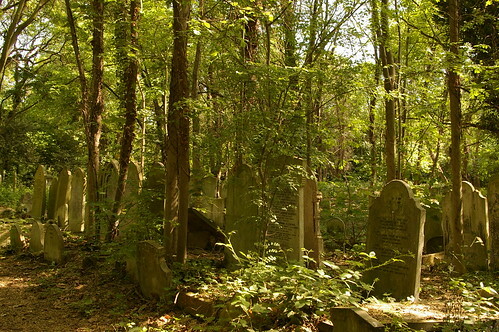 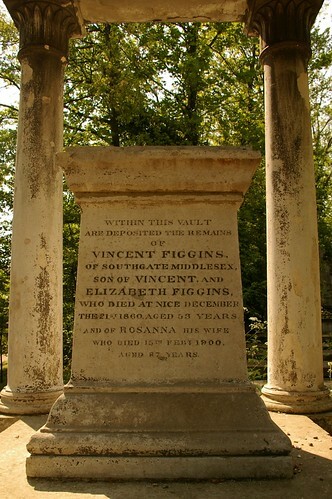 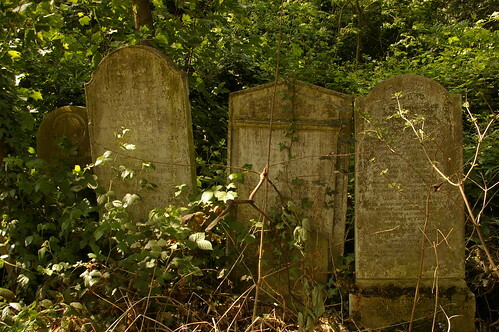 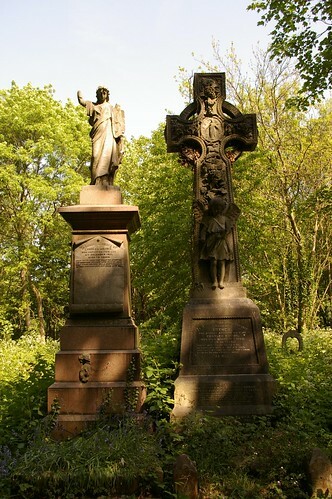 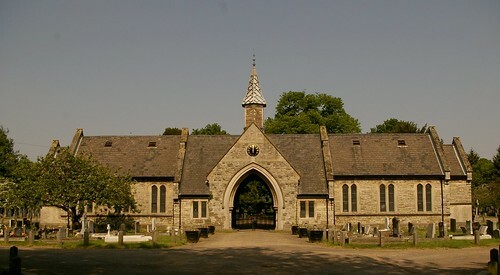 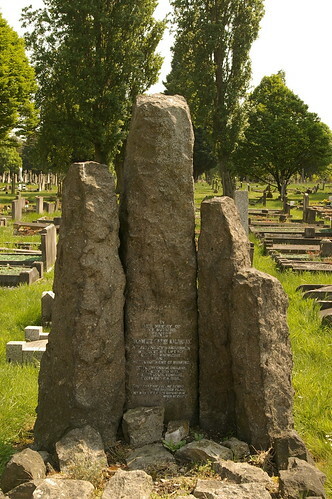 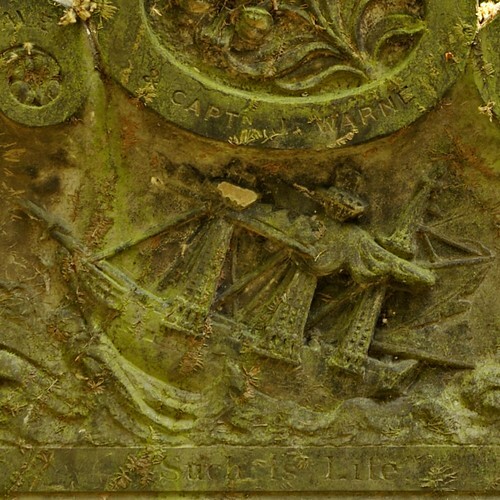 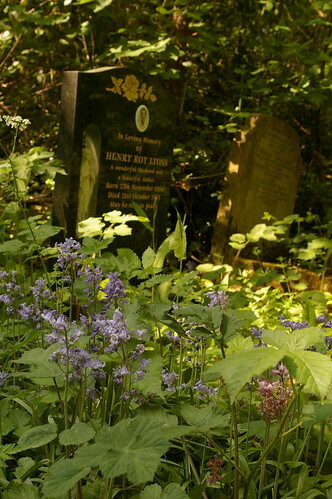 Founded in 1840 by the London Cemetery Company (who also founded Highgate), on the death of its first superintendent in 1865, it was discovered that he had defrauded the company of thousands of pounds. 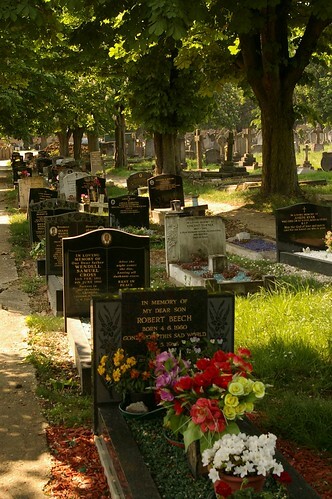 Lower mortality rates (fewer customers!) 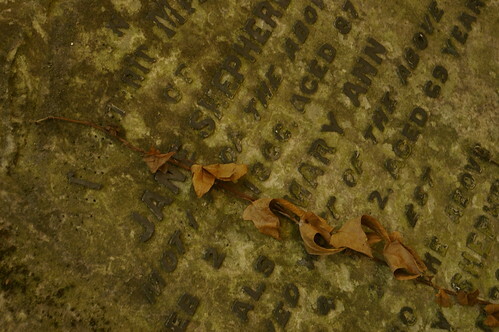 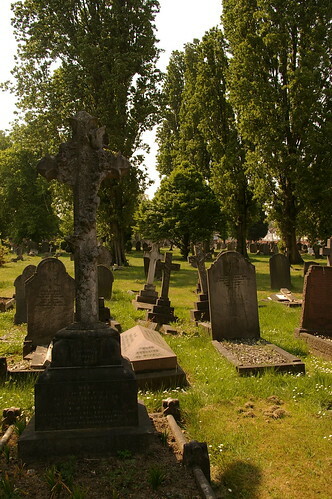 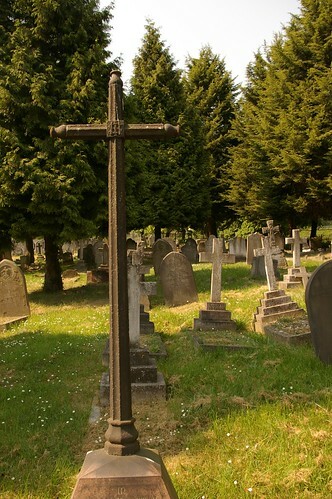 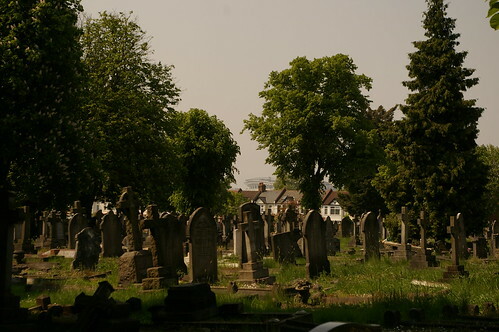 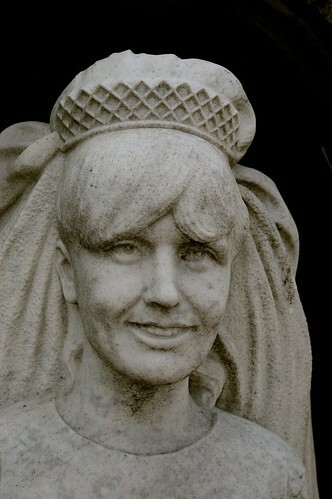 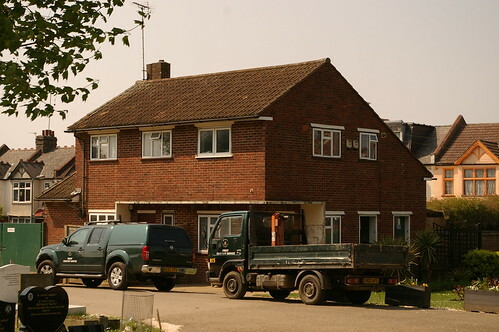 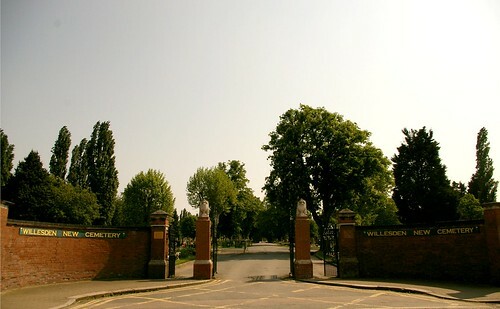 didn't help, and by 1960, the cemetery had been bought by a property company planning to build on part of the land. 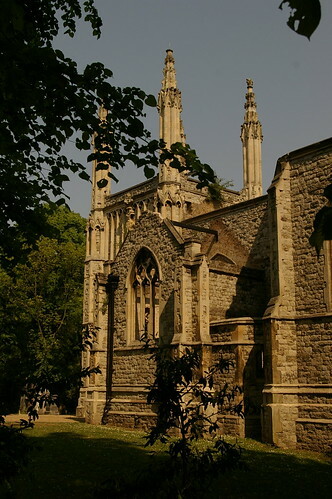 Perhaps the harshest blow was in 1974, when the Anglican chapel was all but destroyed by an arsonist. 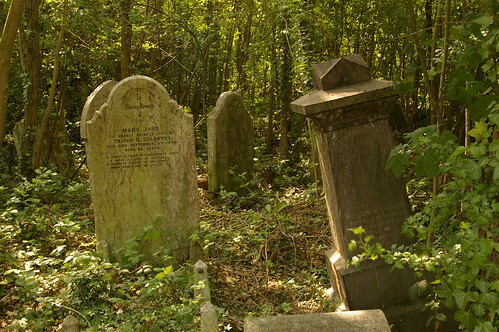 With vandalism and tales of "black magic rituals" rife, the London Borough of Southwark stepped in, and in 1975 bought the cemetery for £1. 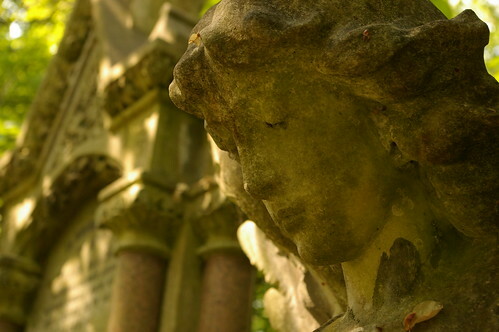 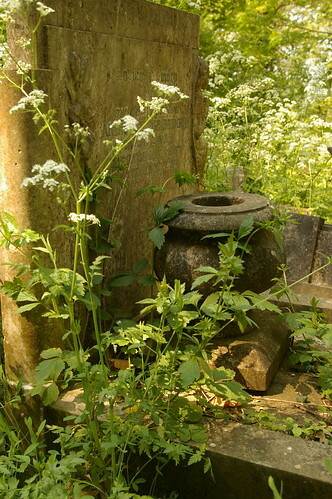 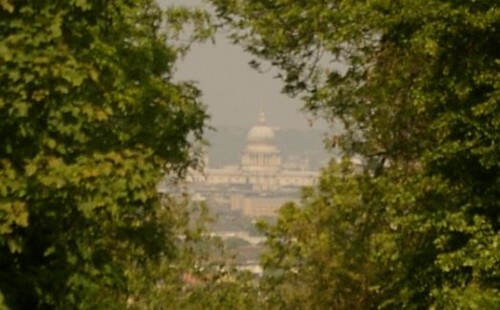 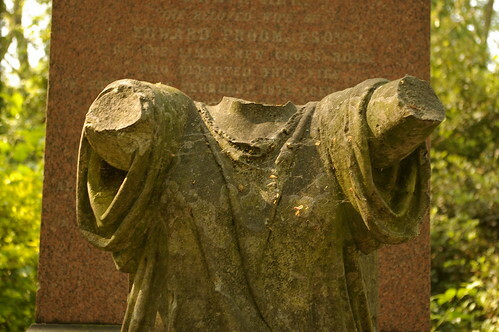 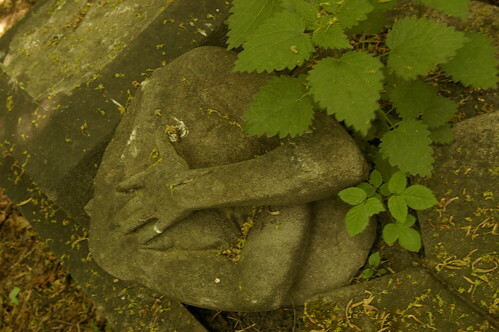 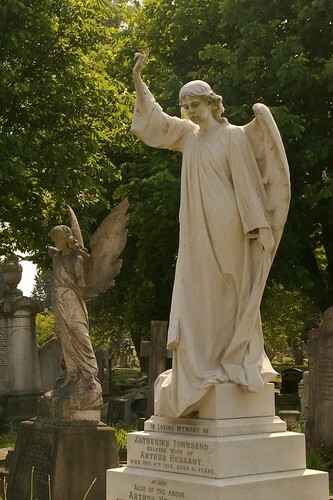 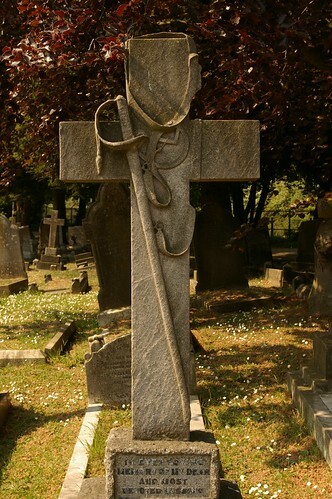 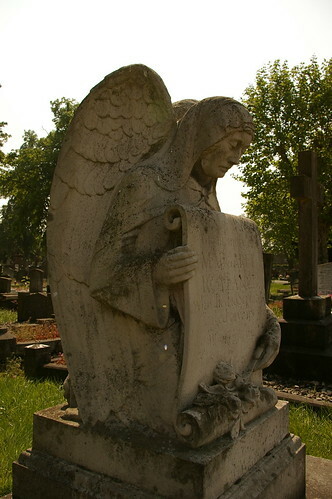 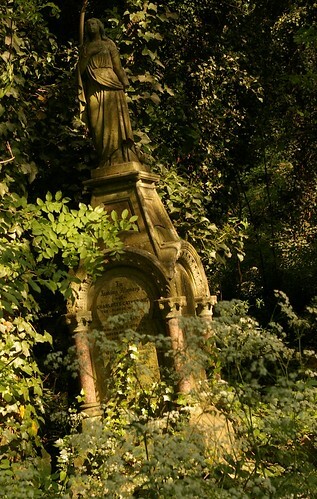 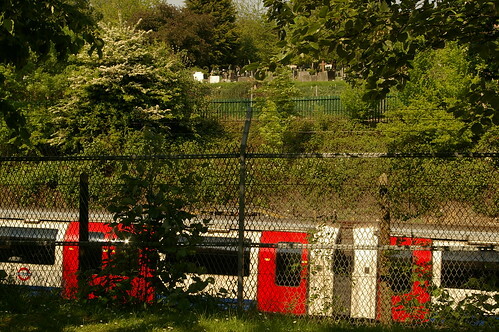 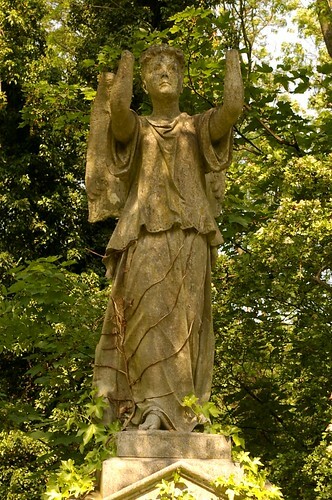 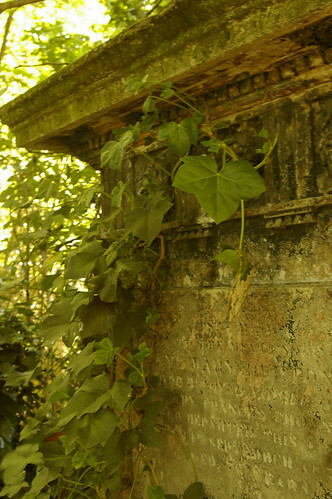 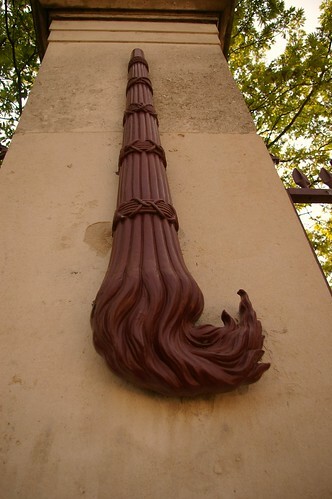 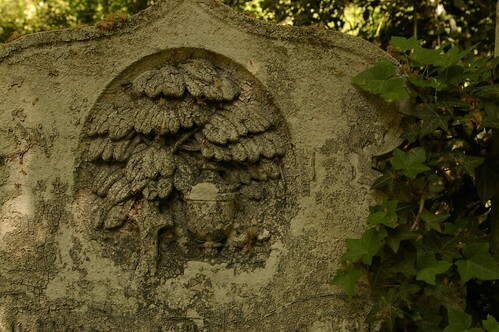 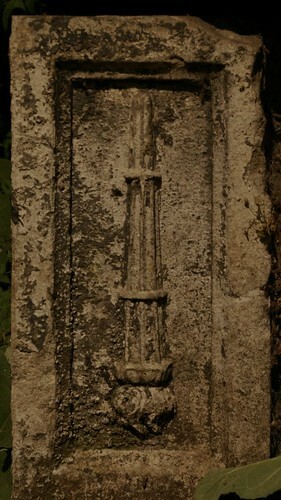 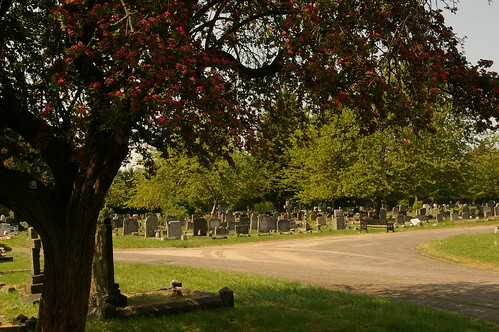 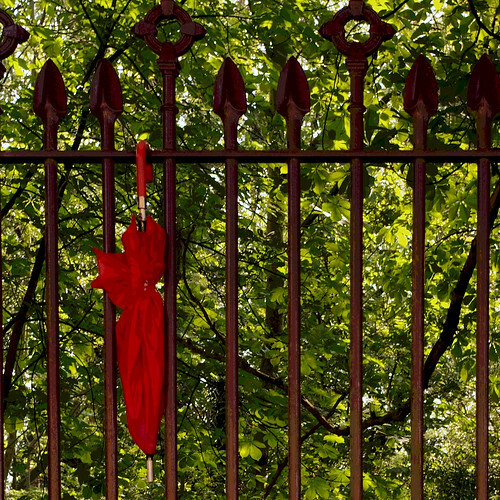 When we first visited Nunhead, nine years ago, I was unsure that the cemetery would win. 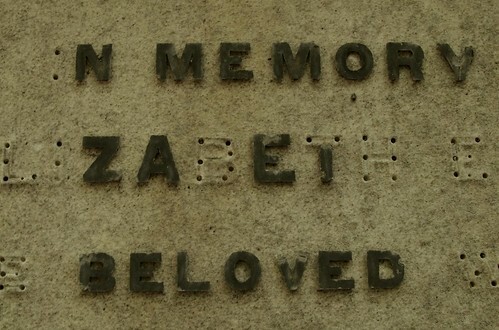 Today, I was delighted to see that it has. 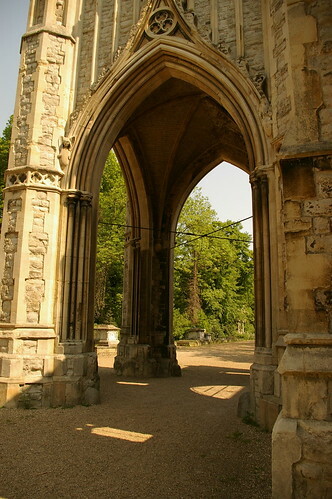 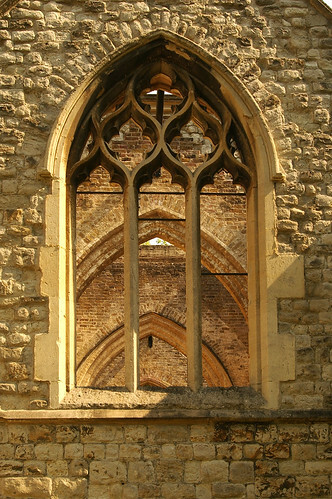 The Chapel has been stabilised, thanks to a grant from the Heritage Lottery Fund; though it lacks a roof, it's still suitable for summertime concerts and exhibitions, and its slightly ruinous appearance just adds to the Romantic air of Nunhead: it looks like the ruin of a mediaeval abbey. 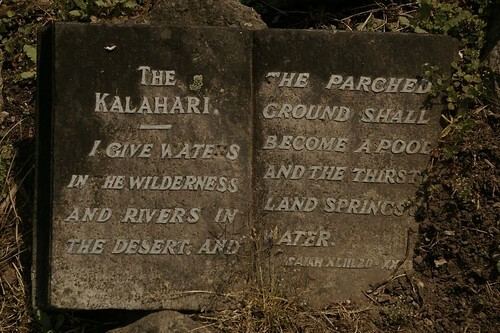 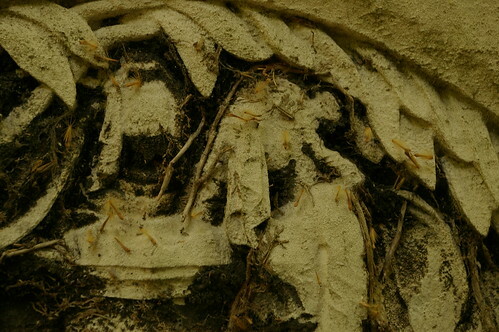 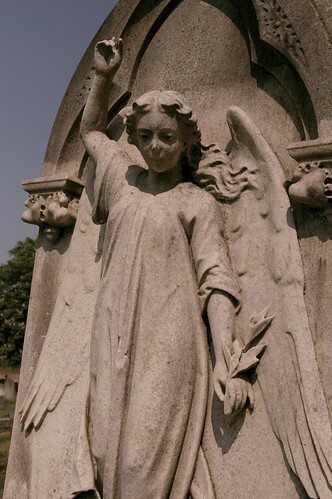 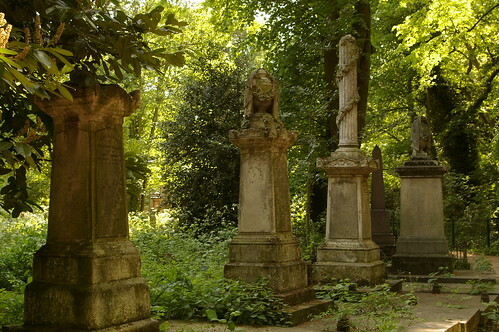 Though many areas of the cemetery are still overgrown, at least the main paths are clear, and the more spectacular monuments intact. 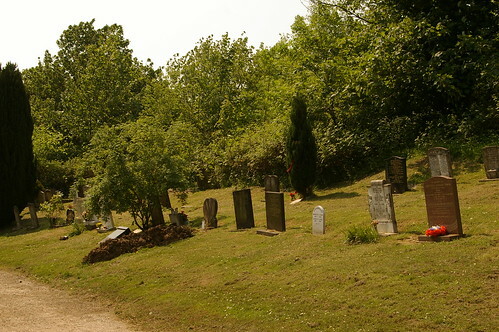 Some parts towards the back of the cemetery have been turned over to lawn and are accepting new burials. 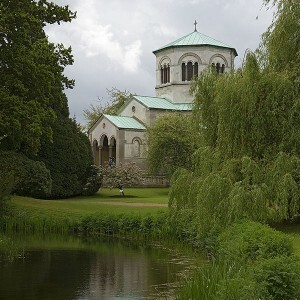 This might feel incongruous, but at least it's generating much-needed funds to keep the rest of the place intact.